In 1997, Bella Bathurst began to go deaf. Within a few months, she had lost half her hearing, and the rest was slipping away. She wasn't just missing punchlines, she was missing most of the conversation - and all of the jokes. For the next twelve years deafness shaped her life, until, in 2009, everything changed again. 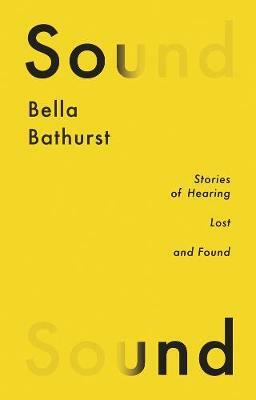 Sound draws on this extraordinary experience, exploring what it is like to lose your hearing and - as Bella eventually did - to get it back, and what that teaches you about listening and silence, music and noise. She investigates the science behind deafness, hearing loss among musicians, soldiers and factory workers, sign language, and what the deaf know about these subjects that the hearing don't. If sight gives us the world, then hearing - or our ability to listen - gives us each other. But, as this engaging and intelligent examination reveals, our relationship with sound is both personal and far, far more complex than we might expect. Bella Bathurst is a writer and photojournalist. Her books include The Lighthouse Stevensons which won the 1999 Somerset Maugham Award, The Wreckers, which became a BBC Timewatch documentary, and The Bicycle Book, which was shortlisted for the William Hill Sports Book of the Year 2011.